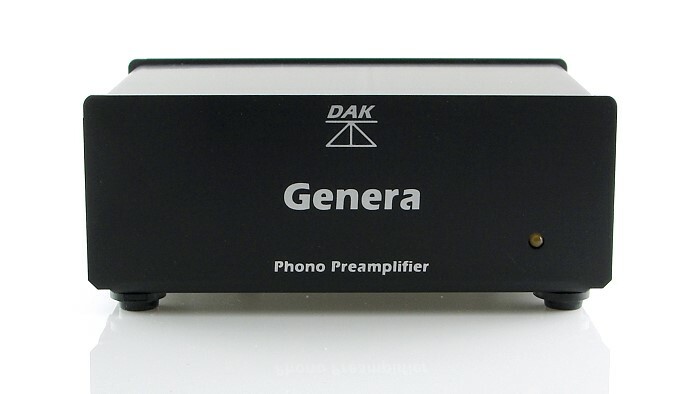 The feisty sounding little headphone amplifier What Hi-Fi? Sound & Vision awarded best headphone amplifier three years running is presented here in kit form. For the ready-made production version click here. 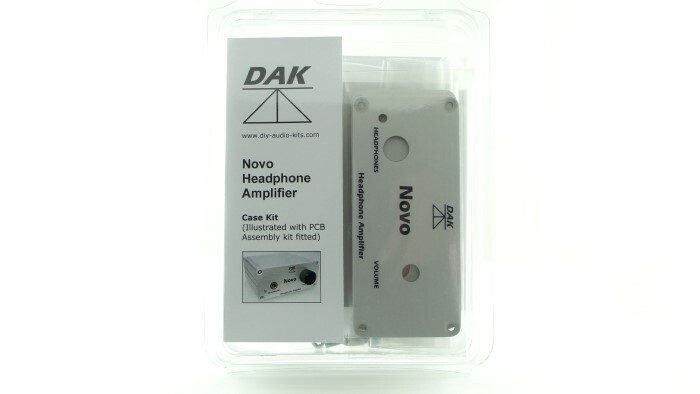 The Novo kit is supplied with the same type basic power supply as the one used for review. 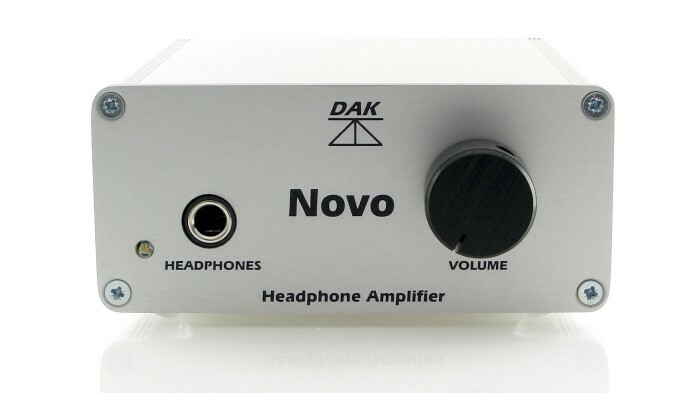 The Novo headphone amp can be upgraded later on by swapping to the PSU1 power supply (see Power Supplies). This kit is intended for the more experienced DIY hobby electronics constructor. 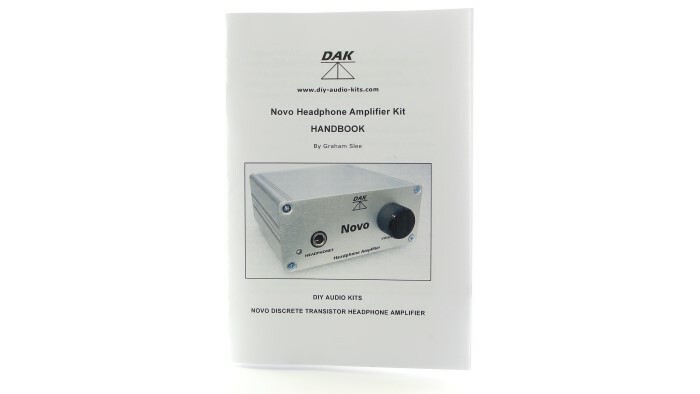 The Novo in kit form is based on our discrete transistor production headphone amplifier. It uses discrete bipolar (BJT) transistors instead of the more commonly used op-amps. 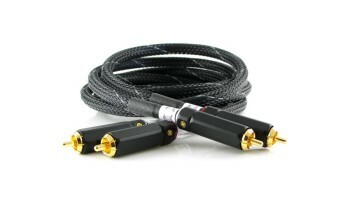 Therefore it is a bit more challenging than other headphone amplifier kits because you have to ensure you use the right transitors in the right positions and get them the right way round. The high quality professionally made PCB has a component "ident" to assist you inserting the components in the right places. However, because the board is quite densely packed for a kit project, some of the track/pad spacings are quite close. You will need a decent soldering iron (we recommend around 45 watts) with a new clean tip - and solder as there isn't any in the kit. Although we as manufacturers use unleaded solder, you can still use 60/40 tin/lead, and in the hands of the hobbyist that will produce better joints than unleaded. We've included the instructions in booklet form which shares a lot of design information too. Be warned, it is not a painting by numbers exercise - it requires experience - it's a bit like constructing from a magazine article. You will also need a digital multi-meter to check the voltages after you've completed it and powered it up for the first time. We also recommend you keep a magnifying glass at hand because the print on components is small and often poorly defined - so ensure you have good lighting as well! 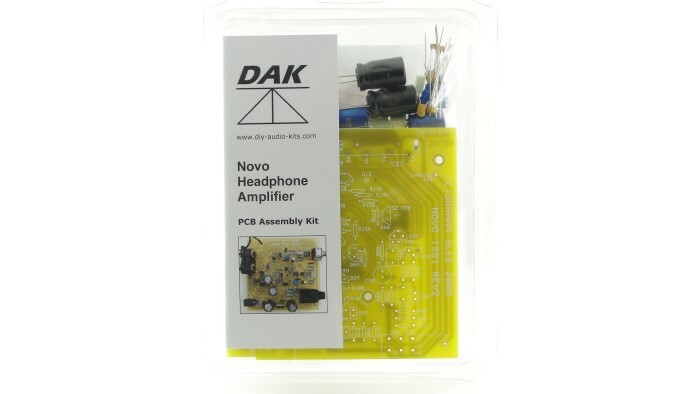 Most of our DIY kit building customers "walk" the job of building the Novo kit headphone amplifier, but a minority have "little accidents" or lapses of concentration and insert a polarity conscious component such as a transistor backwards - transistors simply don't work again after that. Because of this we offer a "first aid kit" of all the at-risk components (see purchase panel). And if it were to go completely wrong we can fix it for £50 plus shipping and VAT (if VAT applies where you are) - use our contact form to request this help. 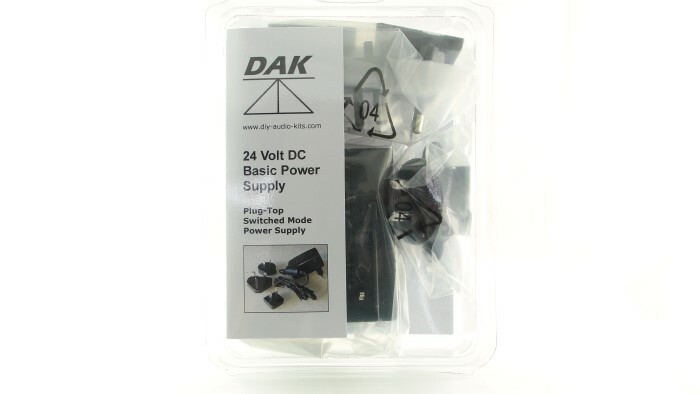 DAK is a trademark of HiFi System Components Limited (DAK stands for DIY Audio Kits). This is my first post and I thought I would share my experience of building the Graham Slee Dak Novo Headphone Amp Kit. The build instructions are pretty comprehensive and are well worth careful study (in a comfortable armchair) prior to getting anywhere near the various components making up the kit. Also detaching the circuit diagram helps as a reference. I more or less followed the instructions as to the order in which to begin populating the pcb, beginning with the resistors. As per booklet advice, I tested each with a multimeter and then placed them out on the workbench (dining table). Prior to soldering, I tested each resistor again, thereby minimising errors and keeping the pace slow. Following the fitting of each part, I marked off the appropriate entry on the Component List. I then started soldering in the capacitors. I tested each one with a capacitor meter (bought quite reasonably for another project and has been invaluable). I realise that the more conventional electrolytics are easily identified, but the small ceramic and tantalum bead caps are hard to read, although a good magnifying glass is handy. The transistors went in pretty easy, although I did reverse one, which only came to light when checking over everything once the build was complete. I used a magnifying glass to study the populated pcb and also the underside to ensure there weren't any joints that looked “under-cooked”. I reflowed some joints that appeared borderline. The remaining parts went in without difficulty, although the insulated flying lead had me scratching my head. The manual refers to “short solder-spills” and for the life of me, I could not understand what these were. Back to the circuit diagram, eventually figuring out which component lead was which and that the “spills” were elongated solder tracks. Cannot over emphasise the importance of referring back to the build instructions and double checking everything prior to connecting the PSU. Now for the bit that almost had me flummoxed. The voltage testing. The fact that I am dyslexic when it come to reading a circuit diagram is a bit of a hinderance. Armed with a marker pen and a sheet of paper, I figured out which component lead I should be placing the + probe. Fortunately, all voltages were within tolerance. And no nasty burning smell! 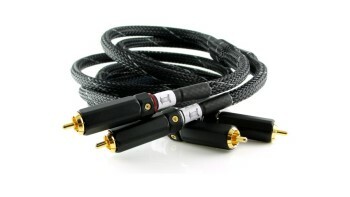 Time to connect the RCA leads from the Novo to my valve amp and plug in the headphones. The sound was a little harsh in the treble, but the amp has to be allowed burn-in time. Experience tells me that sometimes anything between 100 and 300 hours is not unusual. In the meantime listening gets more enjoyable each day. Many thanks to Graham Slee in designing a fine amp kit that can be built by anyone with reasonable soldering skills (mine are by no means perfect) and a willingness to regard the instructions as a tract that should adhered to without deviation. If I was to offer one suggestion, it would be to have the manual as a download as well, perhaps with better defined diagrams.